Vallstein was built around the philosophy that transparency in bank relations should be equally relevant from the perspective of a corporate client towards its banks as vice versa. The history to date has proven Vallstein´s vision right. Clients applying Vallstein´s BRM solutions gain and maintain pro-active control over their banking charges based on sustained information advantages, enabling ongoing monitoring and business allocation based on transparency and best-practice benchmarking. 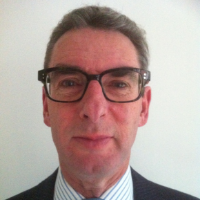 By opting for Vallstein, companies will not only gain access to the WalletSizing® Bank Fee Edition but will also avail itself of the know-how of over 18 years of experience in the development and management of Award-winning WalletSizing® and Bank Fee Management solutions and the associated global lead position in Bank Relationship Management. The Bank Fee Edition enables the efficient implementation of this important initiative in controlling banking fees. Bank invoices will be uploaded and interfaced into the Bank Fee Edition in a seamless matter. Based on the insights and analytics and the associated benchmarks provided by Bank Fee Edition, companies will establish a solid basis for transparency and control on all its banking charges in cash management. Vallstein software solutions enable ongoing monitoring and reporting of the banking landscape, ensuring embedded pro-active control and compliance with banking policies and cash management pricing agreements negotiated with the banks. Unlike other treasury systems and treasury consulting firms, Vallstein is solely and fully dedicated to BRM. The nature of our client relationships varies and is entirely driven by the tailor-made approach from client to client. The majority of our clients operate in multiple countries, where in turn they maintain multiple local banking relationships. 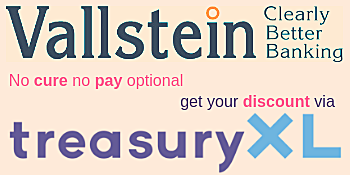 In supporting our clients on their bank relationship management Vallstein has thus developed a unique and extensive database covering market data on banking products and services from over 300 banks worldwide. Furthermore, all the prices for Cash Management will be benchmarked on the basis of size and quantities per product and this will provide the company with the necessary insight in the business value of its Cash Management wallet. With this knowhowthe best practice prices in the market can be negotiated. For many of our clients this has lead to substantial savings on their annual Cash Management fees and an improved relationship with their bank(s). Vallstein has served hundreds clients directly and indirectly in cooperation with its partners. These clients represent a wide range of industries and vary in size from EUR 30 mln to well over EUR 300 bln in annual sales. The clients are headquartered in a wide range of countries, including countries in the Middle East, Europe and North America and have operations in 180 countries world-wide. In many cases, the client relationship is multi-year, with our oldest client relationship indeed dating back to the year of inception of Vallstein in 2000. Do you want to explore the possibilities for your company? Please contact Salco Herschberg.